If you accidentally delete calls that are important to you, you may be very anxious now and do not know how to get the deleted calls back. Actually, these deleted calls are still on your iPhone and you can view them easily through a 3-rd party tool Umate Pro iPhone Data Eraser Win/Mac. Though we can delete numbers from our vision, they haven’t necessarily been deleted from our phones. This is where the Umate Pro iPhone Data Eraser Win/Mac can help. 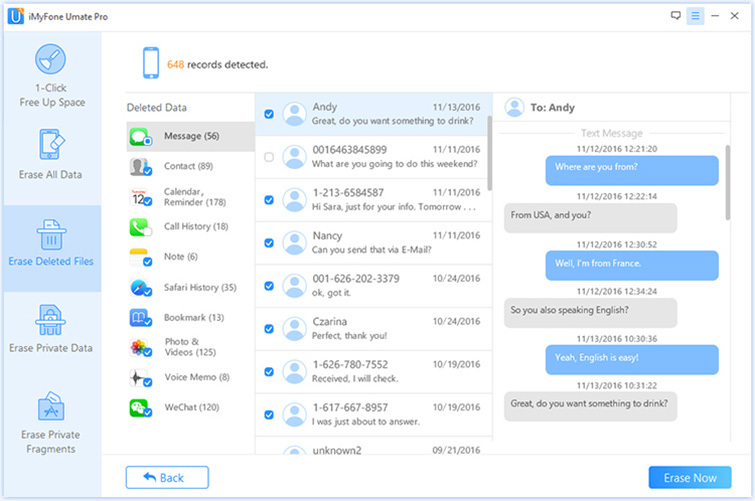 With the Umate Pro, you can scan for deleted calls and find the one you need. You can preview and check all the deleted calls for free on your iPhone, iPad, or iPod touch. It can help you erase both your current and deleted calls permanently without any possibility of recovery. Not only does this include deleted telephone numbers, but it also includes things like photos, videos, text messages, and history. You can keep your entire private information private by deleting it permanently from your iPhone. 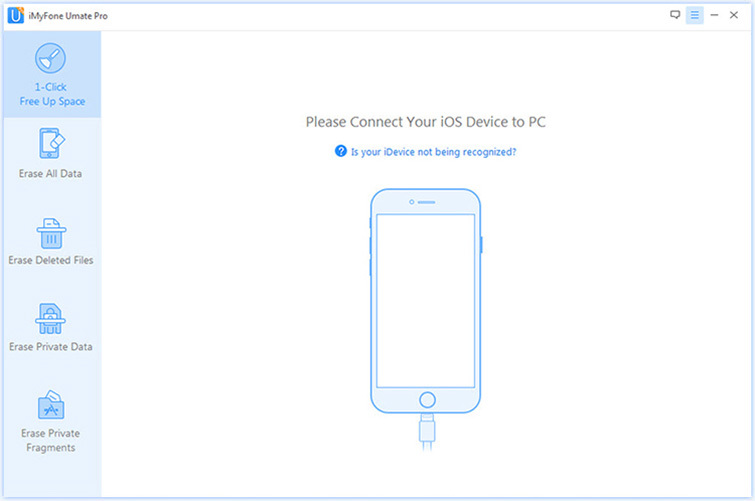 It can also100% wipe 3rd-party apps like WhatsApp, WeChat, Kik, Viber and 10+ more. 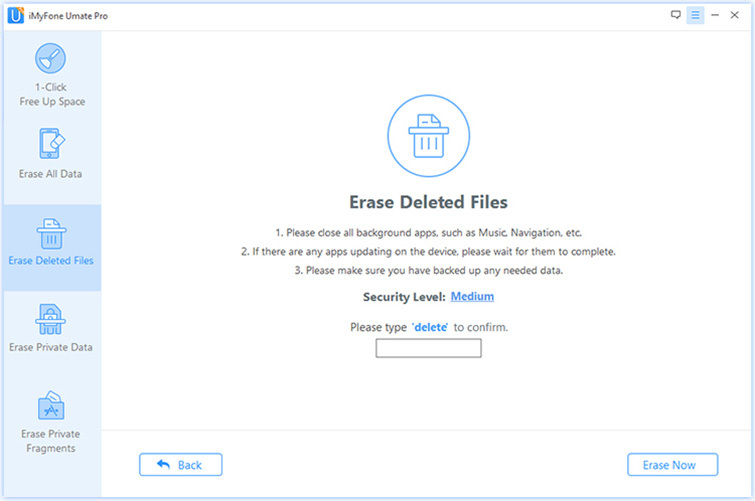 Step 2: Launch Umate Pro, and click on Erase Deleted Files. Step 3: Click Scan. This will bring up all previously deleted iPhone numbers and contacts. Save the numbers you would like to keep. Note: If you would like to erase the deleted calls to protect your privacy, continue to follow the steps. Step 5: After you manually type "delete" into the box to confirm your action, click the Erase Now button to erase all data on your device. With the help of iMyFone Umate Pro you can keep your entire private information private by deleting it permanently from your iPhone. And in the process of deleting unwanted information, you can not only find deleted calls on iPhone, but also the deleted messages, history etc. Keep in mind that this will replace all of your iPhone data with the old data in iTunes. If your last sync was not recent, it may not be included in the data kept in iTunes. 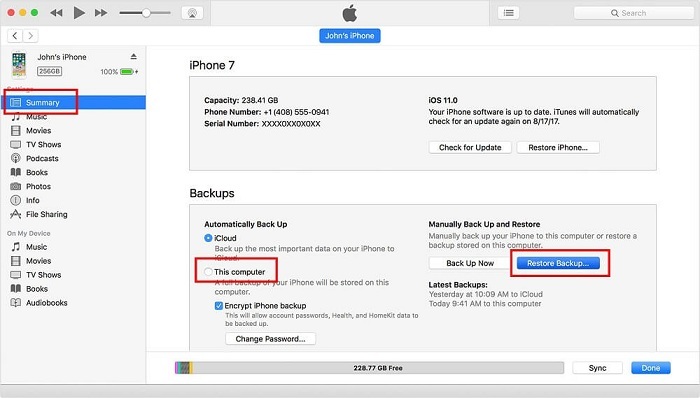 Step 3: Click on the name of the device listed under “backups”. 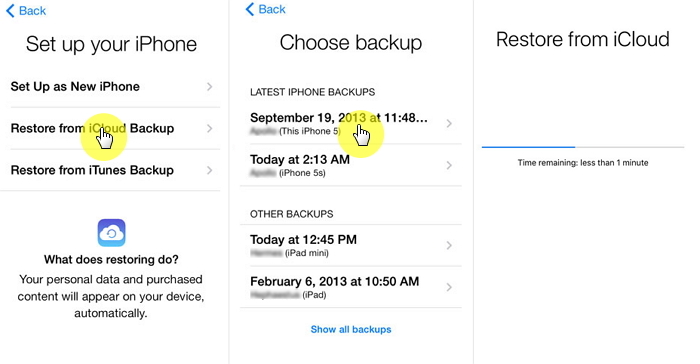 This will show you the size and date of your latest iCloud backup. iCloud is a quick and easy way to restore your deleted phone numbers, but it is important to remember that you cannot just “preview” the numbers with this method. Rather, all current data on your iPhone will be erased, and your phone will be restored to your latest backup point. The same is true for the iTunes method. 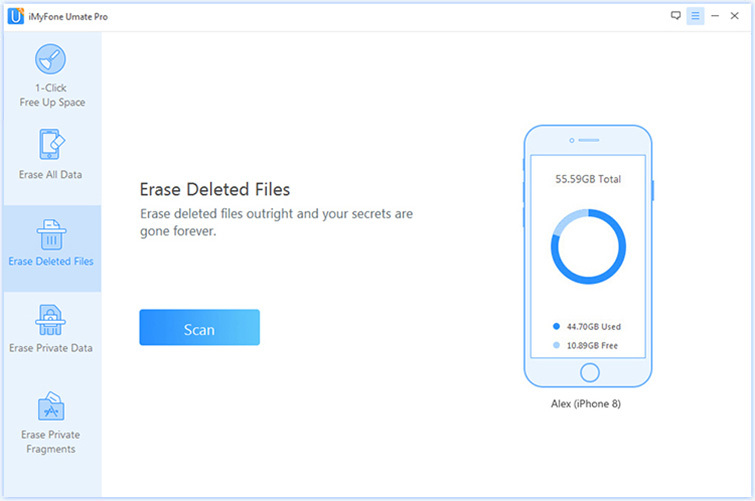 So, if you want to find deleted calls on iPhone or view deleted call history and you have a very recent backup on iTunes or iCloud, you can easily recover your data to that point. But if you fear that you may lose addition important data with these methods, you may want to try software like iMyFone Umate Pro. With the Umate Pro you can both review and permanently delete any files or phone numbers of your choice, without risking the loss of further data. If you have any questions, or would like to know more about this software, please feel free to contact us!